SMITH HISTORY BLOG: What’s Art Deco? In the early 1900s, everyone was searching for a new style—something to bring them out of the 19th and into the 20th century. There were automobiles, airplanes, and state-of-the-art ocean liners; there were advancements in science. It was beginning to seem like this century would be one of change. One of these styles that developed out of this desire for ‘new’ began in France in the early 1920s, before being exposed to the world at the 1925 Exposition Internationale des Arts Décoratifs et Industriels Modernes. Art Deco was the 1920s style that one might associate with an age of speakeasies and jazz music. It drew its inspiration from all things mechanized and modern (e.g. relative simplicity, planarity, symmetry, and unvaried repetition of elements). This style was highly theatrical, full of classical, symmetrical, and rectilinear elements inspired by such serious artistic movements as Cubism, Futurism, and even Art Nouveau. It also drew on motifs of many of the new transportation technologies of the era: planes, trains, automobiles, and ocean liners. These epitomes of human might and knowledge of technology and science were as modern as could be, especially in a design style that focused on them. Despite all of these influences, though, Art Deco was its own unique style, and it became the style of the “Roaring ‘20s” across the U.S. The style infiltrated every design from architecture to automobiles to fashion. 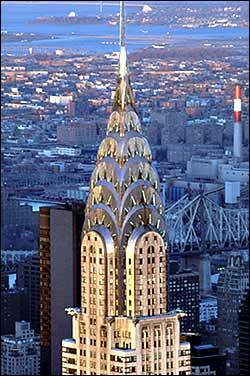 Perhaps one of the most famous symbols of the Art Deco movement appears in New York City’s Chrysler Building, whose sunburst-patterned spire and geometric façade both exemplify the style. beautifully restored example of the 1930s movie palace, Rigaumont’s design is unique in its incorporation of Art Deco elements. The box office’s symmetry and streamlined physique provide a handsome example of Art Deco. These motifs and colors decorate the vestibule, from the wall decorations at the East and West elevations, to the ceiling. The lobby carpet—a deep red with gold swirls—helps take the audience back in time. Lighting fixtures here contain the straight lines and geometric symmetry that Art Deco architects craved, and there are more in the balcony. From top to bottom, Art Deco has been integrated into Schine’s Geneva in such a way as to not clash with the classical interior of the auditorium. Art Deco fell out of favor during WWII. However, the style had a renaissance in the late 1960s especially in sectors of decorative arts and fashion and jewelry design. Despite this, the architectural and stylistic elements of this once modern style possess a unique ability to transfer us back to a time when tech was exciting. How funny since the idea back then was to look forward. “Art Deco.” Britannica Academic, Encyclopedia Britannica, 23 July 2017, https://academic.eb.com/levels/collegiate/article/Art-Deco/9661.